The Buffalo Grove Golf and Sports Center at 801 McHenry Rd. in Buffalo Grove. Customer Appreciation Day is Feb. 7 from 11 AM to 2 PM. Top rated instructor Todd Sones among those teaching at the BG-Dome this winter. Sones is offering some free clinics as well next one on January 7th at 6:30 PM,on putting. Did you do it. Are you dome yet, err done yet. Yeah it’s that time of year where the word dome or golf dome is on my mind. The real question is did you get your holiday shopping done. Did you take care of the favorite golfer or golfers in your life. The one in your family, a friend, somebody in your favorite foursome, your best friend at the club. If you are not a golfer and you are buying for a significant other, do not buy him or her clubs. What you can do instead. Look in their golf bag see what type of golf balls they use and buy them instead. If you do not know what brand they play, a gift card from a pro shop or a big golf store is the smart play. Gift cards for golf domes are a great idea. Tickets for the upcoming golf shows in Tinley Park or in Rosemont are a great idea. There are still plenty of course and resorts that will be open taking last minute orders for gift cards. Dupage Golf, Blackberry Oaks,Shepherd’s Crook or how about the American Club in Kohler, or the French Lick Resort in Indiana. Resorts down south where it is warm, like Pinehurst in North Carolina, Kiawah in South Carolina, Streamsong in Florida. Golf shoes or socks are an option. A gift card to get his her clubs re-gripped is not a bad idea. How about a lesson with an Illinois PGA professional. Depending on who the professional is, the rate can be enough where it makes for a special gift. Many top teachers are here for most of the winter and are teaching indoors at domes or other heated facilities. Gift cards toward clubs is not a great idea either, because it locks the buyer into buying from a certain facility they might not want to buy from, or might not have the product the golfer is looking for. If you know sizes, golf clothes from their favorite course is an option. If their favorite club is a private club, do not be afraid to call the pro shop and ask if you can come over and shop. Most clubs will say yes, especially at this late date. You can always buy a plane ticket for someone to play where it’s warm, and they can pick the golf course or the resort. The main thing to remember, is you have plenty of options when it comes to golfers. But the smart thing is to stay away from buying clubs, if the gift is a total surprise. Happy shopping everyone. The Gog Blog returns tomorrow. To follow the website on social media, follow Rory Spears on Facebook, Linkedin, or on Twitter @GogBlogGuy. RS. LINKS & TEE’S ON LAKE STREET IN ADDISON. Don’t forget to get your L & T gifts cards today. Need a holiday gift for your favorite golfer. The Monday-Friday Unlimited Dome Pass for $800 (3-hour daily maximum). The Everyday Unlimited Dome Pass is only $1,000 (3-hour daily maximum). The Platinum 300 Dome Card, $100 for 300 minutes. Resident discount pass $40 now ($50 dollar value). (630)-233-7275 or visit addisonparks.org. THE WEST BADEN HOTEL AT FRENCH LICK RESORT, THE PETE DYE STATUE GREETS GOLFERS AT THE PETE DYE GOLF COURSE ON THE HILL OVER THE HOTEL. FRENCHLICK.COM GOLF-CASINO-SPA AND MORE. 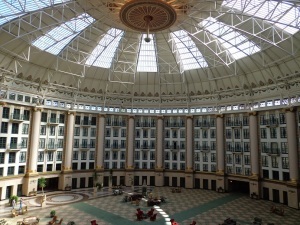 The Gog Blog began it’s fall trip with a stop at the French Lick Resort, in French Lick Indiana. It was the practice day for the USGA Men’s State team Title. When it was over on the Pete Dye Course the team from Texas captured a record fourth team championship. Their four under par score of 428, was good enough to defeat Florida by three shots. The Dye Course was set up at a par of 72, and at a yardage of 6,891 yards. Texas was represented by Zach Atkinson, Colby Harwell and Aaron Hickman. They had a three shot lead headed into the final round, that lead became seven before Florida rallied to tie the score. But Texas dug down and pulled away at the end. Team Texas won the James R. Hand Trophy for the first time since 2007. The Men’s State Team Championship is 54 holes of stroke play, with the lowest two of three scores counting for the day. The team with lowest score after three rounds is the champion. The championship is conducted by the USGA biennially. The Women’s championship will be held in 2015. Team Iowa was third, with Missouri in fourth place. Louisiana and Puerto Rico tied for fifth place, with Illinois one shot back in seventh place. The team representing Illinois was Kyle Nathan of Glenview, Todd Mitchell of Bloomington, and Blake Johnson of Winnetka. With the USGA Championship in the books, the French Lick Resort can now focus on it’s next championship, the 2015 Sr. PGA Championship. 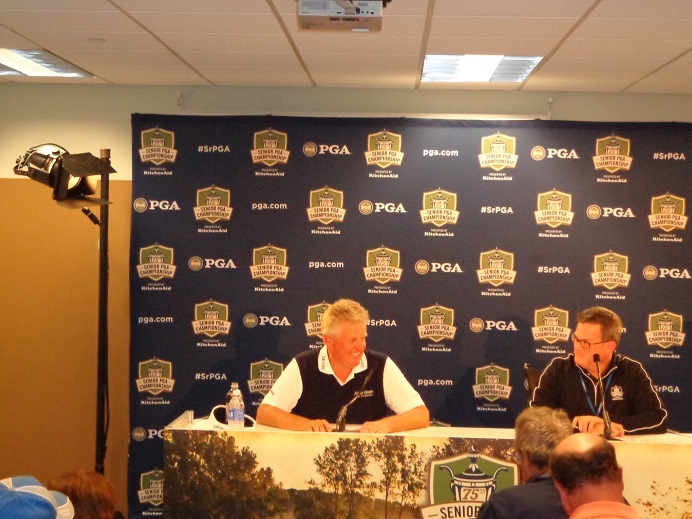 Colin Montgomerie is the defending champion. Colin Montgomerie’s press conference after winning the 2014 Sr. PGA Championship at Harbor Shores GC in Michigan. The 2015 Sr. PGA Championship will be played from May 19th through the 24th on the Dye Course and will again this year be presented by Kitchen-Aid. 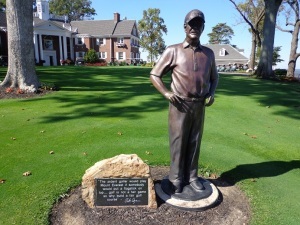 The first Sr. PGA Championship was held in 1937, some of the past champions include Gene Sarazen, Sam Snead, Arnold Palmer, Gary Player, Jack Nicklaus, Lee Trevino, Raymond Floyd, Hale Irwin and Tom Watson. In 2006 the construction began and in April of 2009 the courses opened as America’s Best New Golf Course in several publications. One year later the PGA of America signed up to bring the PGA Professional national championship to the golf course, that was won by University of Illinois Golf Coach Mike Small. The golf course was built on the highest part of the property, on a clear day visibility is some 30 miles from a few of the golf holes. For information on the Sr. PGA Championship, visit SRPGA.com and for hospitality during the championship call PGA Hospitality at (812)-226-0555. The West Baden Hotel and the French Lick Springs Resort Hotel, are both historic landmarks. They are open year round and have a great winter series coming over the next few months. It’s time for the C’s. Concerts, Casino, Cuisine, and Clang-Clang goes the trolley. In May the “C” will stand for championship golf. But long before that you can go to French Lick and enjoy the bringing of the New Year as some New year’s packages still remain. January 9th Easton Corbin stats the 2015 concert series, America on February 6th, The Oak Ridge Boys on March 13th,and Air Supply on April 11th. If your looking for Casino action, the Martin Luther King Day slots tournament starts at 3 PM on Monday January 19th. The resort has more golf than just the Dye Championship golf course. Golfers should try the 9-hole classic Tom Bendelow Valley Links Course, home to the resorts golf academy. 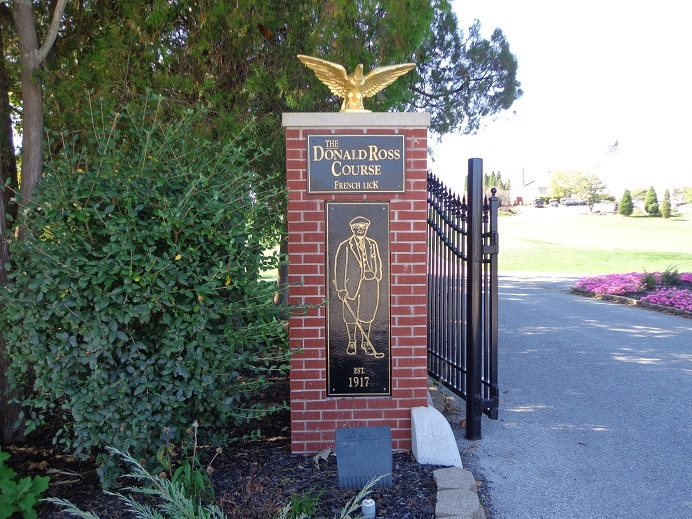 The Donald Ross Course is the second 18 hole course at the resort. 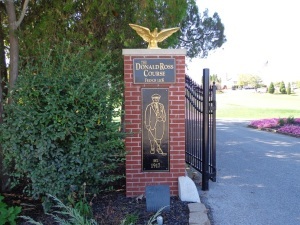 The resort has a second 18 hole golf course, the Donald Ross Course. The course played host to the 1924 PGA Championship, and more recently was the site of the Big Ten Ladies NCAA Championship. It’s a fun golf course that captures the features of golf architecture that was the style of time, from almost 100 years ago. 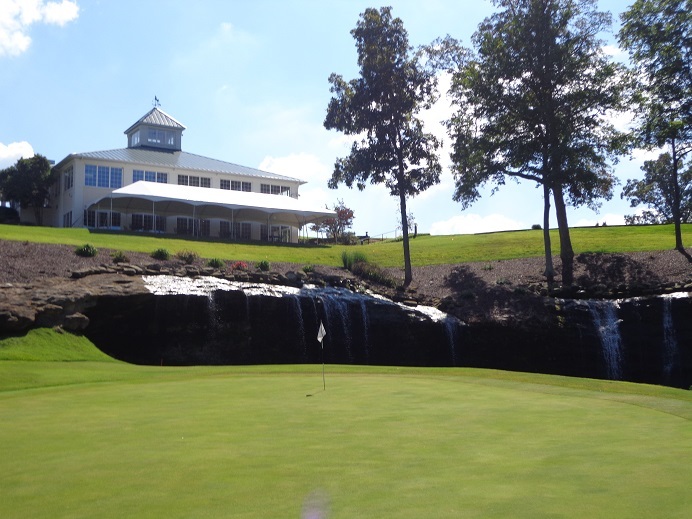 While it appears that the agreement with the resort and golf course is going to end, about 40 minutes away is one of the states better public golf courses, Sultans Run in nearby Jasper. The 18th green with waterfall at Sultans Run in Jasper. So if your in the mood for a winter getaway, or if your already planning that golf getaway for the 2015 season. 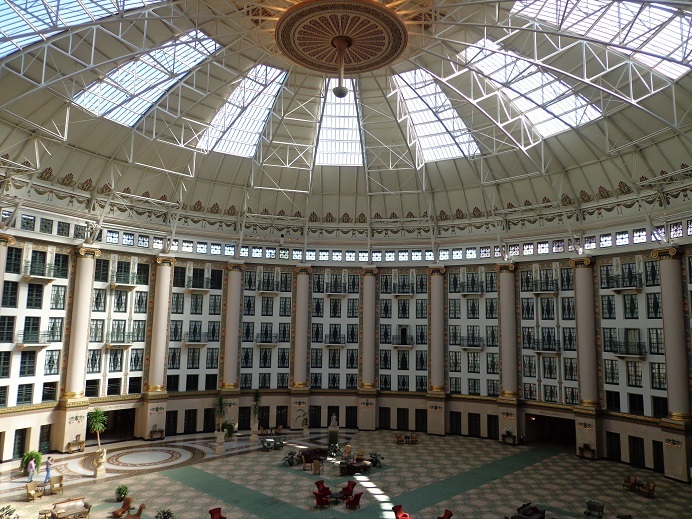 It’s not early to pencil in the French Lick Resort in French Lick Indiana. Not a bad drive from the Chicago area, French Lick is one hour north of Louisville Kentucky, and just over one hour south of Indianapolis. Please allow for the time change into the Eastern time zone. Call French Lick Resort at (888)-936-9360, or online at Frenchlick.com. Home of the LPGA Legends Hall of Fame. The Buffalo Grove Golf and Sports Center is open today from 7 AM to 10 PM and rates start at $12 for 30 minutes. Need a last minute gift for the golfer in house, how about a 5 hours pass for just $85, and it’s not too late for the season membership at at $525. Call (847)-459-2321 or visit bgparks.org. 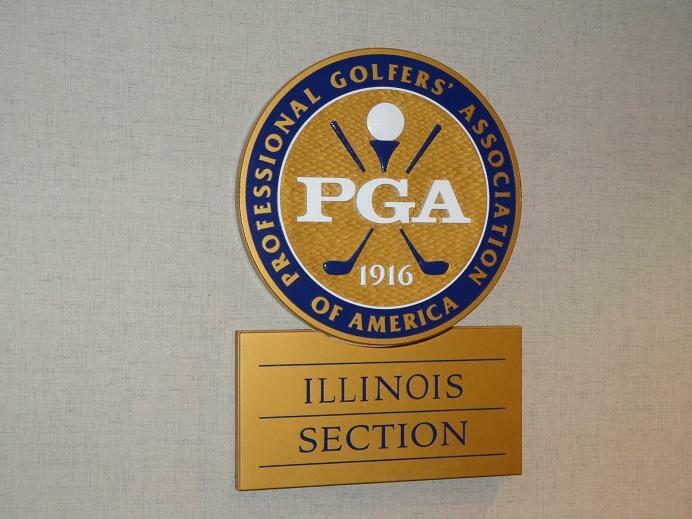 Jim Opp the head golf professional at the Bonnie Dundee Golf Club in Carpentersville, was recently named the 26th President of the Illinois PGA Section. Opp previously had served as the IPGA Vice President from 2013-2014 and the Secretary from 2012-2013. He will succeed Chris Gumbach who will continue to sit on the board as Honorary President. 2015 will be Opp’s 14th year at Bonnie Dundee, he has will have been the head professional the last 11 years. Opp started played golf as a teenager after being invited to play by his stepfather. Golf was not the only thing that Opp was attracted to. He became a chef and worked at the famed Gene & Georgetti’s, Chicago’s oldest steakhouse by day and then over to Indian Lakes Resort to work on outings and club repair by night. Currently the staff at Bonnie Dundee still enjoys when Opp gets the urge to fire up the grill outside the clubhouse, or create some new sauces in the kitchen. Opp registered for the PGA program in 1980, and then went to work at the Champaign (IL) Country Club. He became a member of the of the PGA of America in 1985. Then he went on to work at other facilities in both Illinois and Missouri, where he held a variety of jobs. When Opp returned to the Chicago area, he took the job of assistant golf professional at the Randall Oaks Golf Club in Dundee. But a short time after that Opp was moved by the Dundee Township Park District, that owned both courses, over to Bonnie Dundee that’s become his home ever since. Opp has been involved in the IPGA before becoming secretary in 2012. Opp served on the board of directors for six years and served chairman of the IPGA Education Committee, focusing on educational programs and opportunities for membership. in addition to serving on national PGA education committee’s, Opp won the 2006, 2007 and 2008 IPGA Horton Smith Award for improving educational opportunities for fellow golf professionals. In 2009 Opp won the IPGA Professional of the Year Award, the highest award bestowed on a PGA Professional. 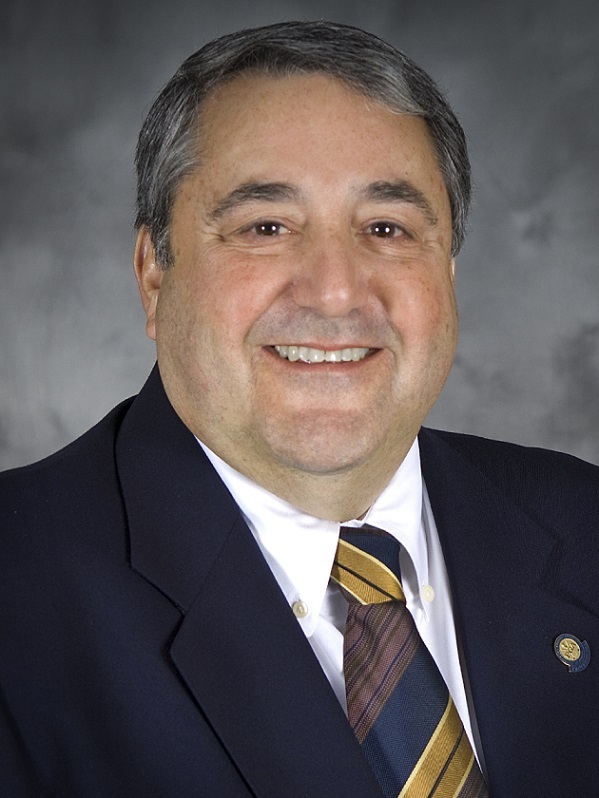 With Opp moving into the presidents role, Mark Labiak of Ruth Lake CC in Hinsdale becomes the new Vice President. The new Secretary is Jim Miller of the Bloomington CC. Three new members were elected to the IPGA Board of Directors for 3-year terms. Frank Bruno from Oak Park CC, Travis Johns from Medinah CC, and Andy Phelan of the Wynstone GC. Click here to our interview with new IPGA president Jim Opp, head professional of the Bonnie Dundee Golf Club in Carpentersville. Stay clicked in to the Gog Blog for news coming soon on the new format for the Illinois Open Championship. As reported last summer by BIG 3 Partners, the #2 course at Medinah will undergo a restoration. The 3.6 million dollar project has been approved by the the board and the membership. What the club will try and do is restore the 1920 look created by architect Tom Bendelow. The golf course will see it’s old infrastructure updated into modern times. The membership by overwhelming vote, approved the project and is hoping to see the course that opened in 1927 return with some of it’s old charm and feel. The improvements will include, state of the art USGA greens, new tee’s, new bunkers , bentgrass fairways and extensive storm drainage improvements. Course two will conclude the final restoration of all three of Medinah’s courses. Since work started in 2008 on Course No. 3, the club will have invested $14 million dollars on restoring and improving all three courses. Rees Jones was the architect who oversaw the Course No.3 improvements, with Tom Doak doing the Course No.1 project. Medinah Course No.2 9th hole. 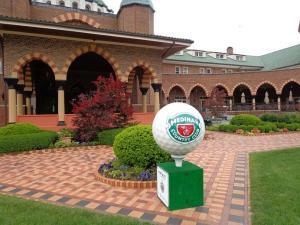 “Having three courses each with a different character offers our members and their guests three different golf experiences, and that’s what really separates Medinah from other country clubs,” said club president Matt Lydon. Curtis Tyrell, Medinah’s Director of Golf Course Operations, will lead the project, with Jones serving as the architectural consultant. Course has almost been left untouched since it opened 87 years ago, except for normal maintenance. From an architect standpoint, it’s still a Bendelow original. When the course reopens, it will play from 4,800 to 6,400 yards, with some tee options. “Most people don’t know what a special gem Course NO.2 is, Tyrell said. “When we restore the design elements and upgrade the playing surfaces, it’s going to bring an exciting new dimension to the overall Medinah Golf experience. The 18th green on the Medinah No.2 Golf Course. 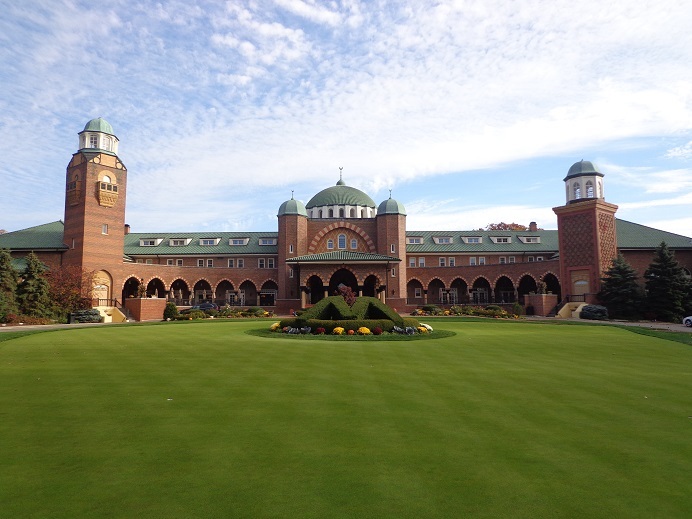 Medinah has been home to Chicago’s most frequent championship venue. Including the 2012 Ryder Cup, three U.S. Opens, two PGA Championships, and three Western Open’s. Work on the restoration will begin in fall of 2015. Sta clicked into the Gog Blog for details about the restoration as it starts to move along. AWARD WINNING DOMES- IN ADDISON & BUFFALO GROVE, check them out today. They’re ready to improve your game all winter long. (630)-233-7275 Addisonparks.org and Bgparks.org (847)-459-2321. Two Good Rounds-Titans. The Third Round by author Elisa Gaudet. 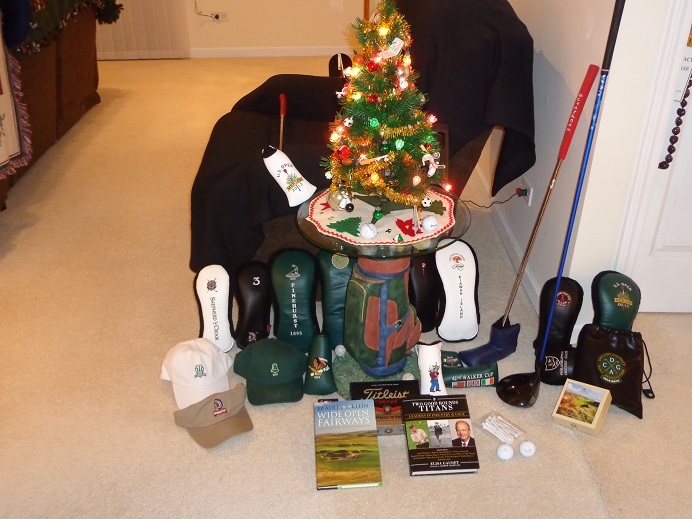 If you’re still need that great golf gift for the golfer in your family, there is some good news. TWO GOOD ROUNDS-TITANS, the third round by author Elisa Gaudet, is out in time for the holidays. Two Good Rounds is the third book by Gaudet, in the Two Good Rounds Series. If you need a great read golf book to snuggle up with until things warm up outside, Two Good Rounds-Titans is perfect for you. “There is a special connection that exists between the worlds of golf and business, and it’s a reason why many of today’s business leaders have achieved success,” says Gaudet,who is highly regarded for her work as founder of the strategic golf marketing firm Executive Golf International (EGI). 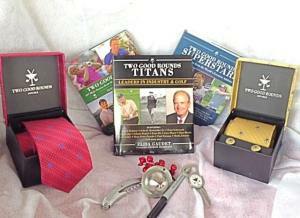 Titans gives you the personal account of how some 33 business leaders have used golfed to help with their success in the business world. Hear from Donald Trump, Herb Kohler,Peter Ueberroth, Hans Peter Porsche, and Paul Fireman founder of Reebok and the owner of Liberty National Golf Course. Several professional golfers have used their success on the course, to have great success off of it. Arnold Palmer, Jack Nicklaus, Gary Player, Ernie Els, Annika Sorenstam, Greg Norman, and Ben Crenshaw. The Two Good Rounds 3 Book Set, and other accessories. Andrew Sharpless,CEO of Oceana wrote the forward for the book and a percentage of the proceeds from Titans will go to Oceana and ocean conservation. 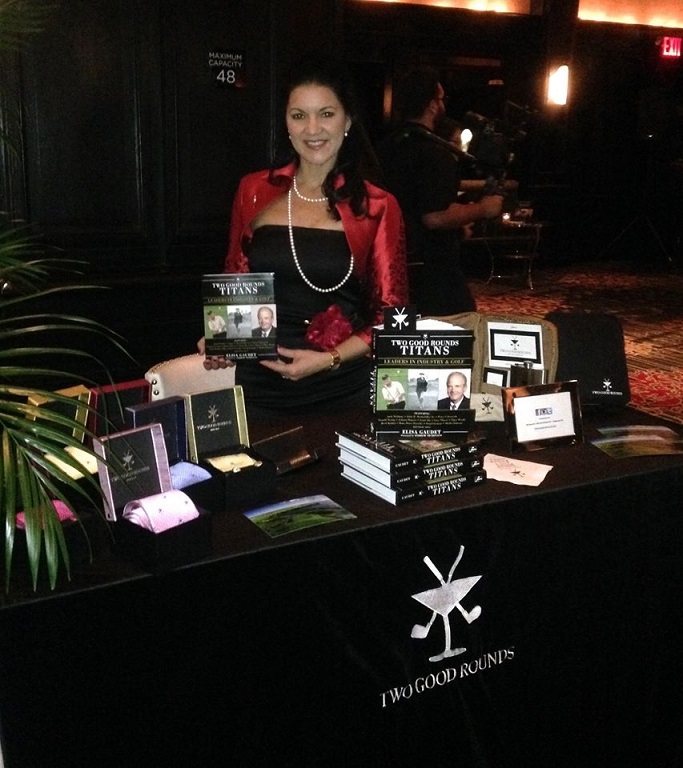 Elisa Gaudet started writing the syndicated column “On the Lip,” and now contributes to the Huffington Post, New England Golf Monthly, Cybergolf, Stratosphere Inflight Magazine, and other luxury,golf and lifestyle publications. For over ten years Gaudet was both an actress and model, she has appeared on numerous TV and radio programs to speak on a variety of golf topics. The book is published by Skyhorse Publishing and can be purchased for $19.95 at Amazon.com, bn.com, or at twogoodrounds.com. THE USGA: FOR THE GOOD OF THE GAME. In the winter season many of the games over 25 million golfers will do more than stay inside and keep warm. It’s a time that the smart golfer uses not only to get better, but to make judgement’s about the equipment they use and if it’s time to upgrade what’s in the bag. Everyone from the pro shops to the golf stores, will have a holiday deal just in time to get rid of the old stock and get ready for what’s coming in for the next year. In this case the 2015 products lines are arriving, if they haven’t already. A few companies hold off until the PGA Merchandise Show in Orlando, to release the new product line. That show tee’s off in January, a great time to get the golf industries players and more importantly the buyers to a warm climate to start the season. Long before you see those products on the convention center floor, or in TV ad’s. They have been through a range of test’s in Far Hills New Jersey, home of the United States Golf Association (USGA). The main entrance, and yes you the golfer are welcome to stop in. 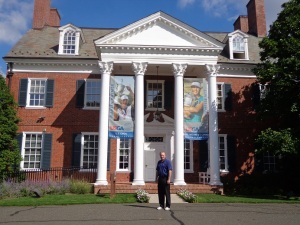 Far Hills New Jersey is not only home to the USGA Museum,and corporate offices, but to the Research and Test Center that first opened in 1984. What the RT Center is called upon to do, is support the USGA’s role in creating equipment standards for the game of golf. Since first being built, the center has had two major renovations. It’s size has been increased to over 20,000 square feet, of both office and testing space. 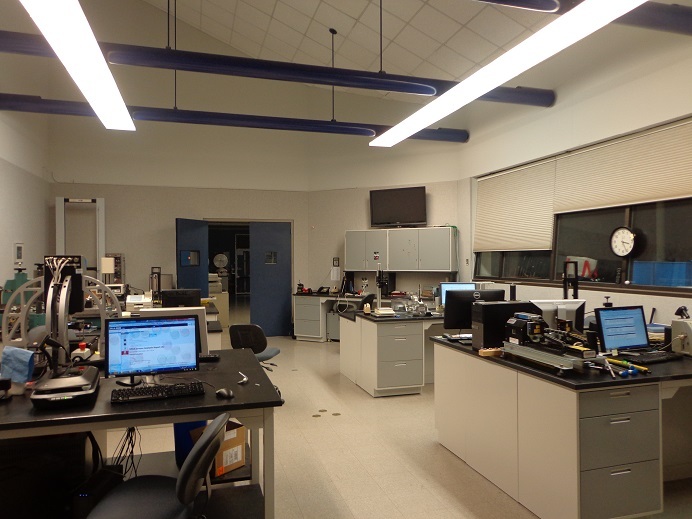 This area includes room for laboratory space as well as an outdoor testing range. The range is 325 yards long and is now 60 yards wide. 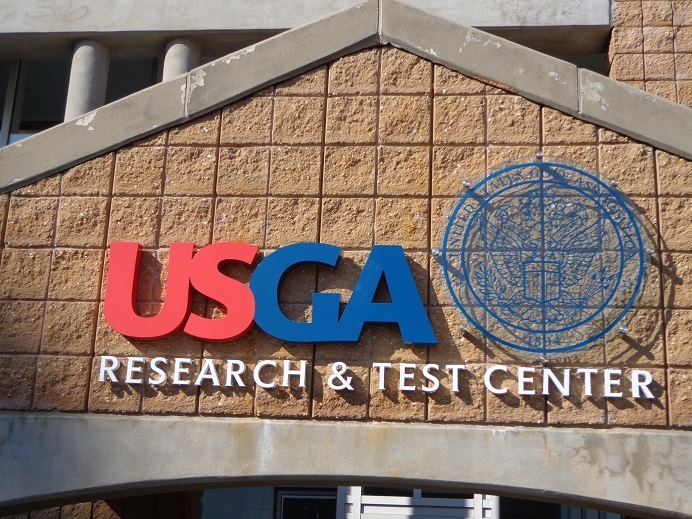 The USGA Testing Center is home to what the USGA calls the Equipment Standards (ES) Staff, which consists of 16 full-time employees. The staff is made up of engineers, technicians, and other professionals, who work with outside consultants and who have almost 275 years of combined experience at the USGA. John Spitzer, is the Managing Director of the USGA ES staff. Spitzer who was originally hired by the founder of the center the famed Frank Thomas, has now been part of the R&T Center for 16 years after working in the Princeton University Plasma Physics Laboratory, General Dynamics Corporation, and Electric Boat. The ES Department defines it’s mission as this. To maintain the challenge of the game by ensuring that player skill, not equipment technology, continues to be the dominant factor for success. What the core functions of the testing center do. *Conduct relevant and accurate research on golf and golf equipment in support of creating conformance decisions and to provide relevant information to our audiences. * Assist in the formation of equipment rule policies and strategies, and recommend equipment rule changes. * Develop accurate and reliable tools and methods for testing golf equipment. * Provide accurate, repeatable, and timely test services to equipment manufacturers. * Coordinate rules, rulings, testing, and research with the R&A. *Communicate with golfers, manufacturers, and the media regarding equipment evaluation and rules. *Develop and distribute golf science and technology educational outreach programs or materials. THE JOINT STATEMENT WITH THE R&A. The ES Staff is guided in its mission by a Joint Statement of Principals that was established in 2002 in cooperation with the Royal and Ancient Golf Club of St. Andrews (R&A). The Joint Statement of Principals acts as the framework which guides the actions for the formulation and enforcement of equipment rules both now and in the future. As the governing authorities for the Rules of Golf including equipment Rules, The R&A and the USGA continually monitor the effects of advancing equipment technology on the playing of the game. Before the golf products even make it to the testing lab, they spend time in a large storage area that is loaded with products that have been tested, will be tested or retested. The Test Center gets over 2,000 equipment submissions each year that include, full clubs, clubheads, shafts, gloves, tees and other items such as shoes. This total does not include the more than 1,300 different brands of golf balls submitted for conformance testing to the USGA each year. Golf ball submissions grew from about 800 in 1999, to almost 1,400 in 2013. Clubs and other devices grew from around 750 in 1999, to almost 3,400 by 2009. A golf ball manufacturer that would like their product placed on the Conforming List of Golf Balls, must submit to the USGA at least, two dozen balls of each brand they want tested. The ES Staff tests some 30,000 golf balls, through a variety of ways. The USGA will then visit tournaments and request a sleeve of balls from players using new types on tour, just to make sure what the company is sending to the USGA, is what they are giving their staff players on tour according to Spitzer. The balls get measured for size and weight. Then they are put through tests to determine an initial velocity (IV). These tests are performed in a climate controlled lab, to make sure all balls are tested in the same temperature and humidity. From there the next step is to check the distance standards. Until a few years ago, all tests were done outside on the test range. Now that has been changed because of outside temperatures, wind speed and conditions of the turf the balls land on. As a result, the USGA now will first tests balls inside. 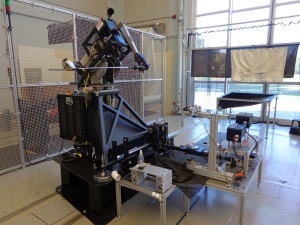 The balls are hit into a net, after traveling through a 70 foot long “tunnel” through which balls are launched from a golf ball launcher that is similar to a baseball pitching machine found in batting cages. At least a dozen balls are tested in as many as 15 different combinations of spin rate and speed. The balls travel through sheets of light called light screens, that measures the ball’s position. When all of the factors are put together, the USGA can predict within 3 yards how far the ball will travel. All done without hitting the ball outdoors. To conform within the rules of golf, the ball must not travel more than 317 yards (with a 3 yard tolerance). Balls that pass all tests for conformance are listed in the List of Conforming Golf Balls, this is published each month on the USGA’s website. 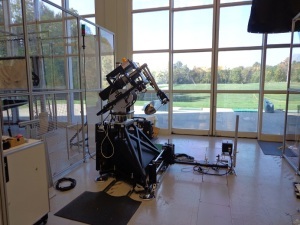 Another testing machine sits in front of the sliding doors to the outside range. What the USGA does with club testing is different from golf ball testing. That’s because the club head, the shaft and the grip all have to be tested for conformance. Those guidelines are listed in Appendix II of the Rules of Golf. Most of the specifications are objective, like width and depth of grooves. For groove testing, the USGA uses devices like a protractor or a micrometer. There are more complex instruments like GrooveScan, for measuring groove size or a pendulum test to determine the flexibility of the golf club face, to test club and ball interaction. 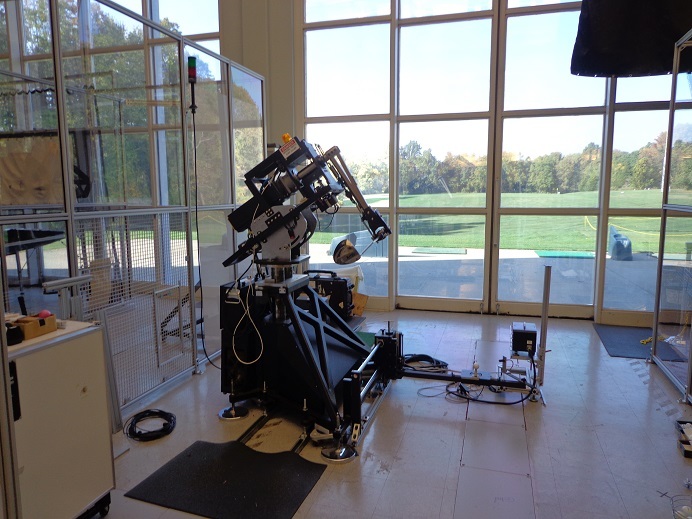 The lab at the test center does more than just test the products that arrive and request to be tested, the lab receives and studies results from ShotLink, the data supplier to the PGA Tour for research. In the course of a year, the center gets over 2,000 pieces of equipment to review each year, including tee’s, gloves and shoes that must conform to rule 14-3 and Appendix IV of the Rules of Golf. 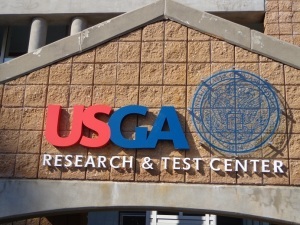 The process for testing normally takes about 18 days, and then the manufacturer is notified of the USGA’s decision, if the manufacturer is notified that their submission does not conform, like in the court system there is an appeal process. The first appeal goes through the Equipment Standards Committee. If the ESC upholds the ruling, submitter can make second appeal to the entire Executive Committee. If that appeal fails to pass, it’s back to the drawing board. Putters can be tested on the big outdoor putting green ,located between the test center and the golf house museum. The big outdoor putting green is another way to test clubs for the USGA. Putters get run through the tests the other clubs do, for club head, shaft and grip. But there is nothing like watching a ball roll on the natural surface of an outdoor green, when the USGA does putter testing. If you’re wondering why all the research, why all the testing, is it really needed. Well the answer is an obvious, Yes. What the USGA does is to monitor and understand equipment advances and how they affect the evolution and sustainability of the game. The results of USGA testing and research, leads to new equipment rules, and interpretations of test methods. When new rules or test methods are needed to protect the game, the ES Staff follows Equipment Rulemaking Procedures, Version 1.1, that were adopted in November of 2011. The R&T Center is a certified facility. all work done there is done with strict compliance with the policies and procedures of the Test Centers quality management system. As a result the next time your purchase equipment or golf balls, you will know what they have gone through just to be on the shelf of your pro shop or golf store. The USGA, helping keep golf legal, and helping you enjoy this great game a little bit more. 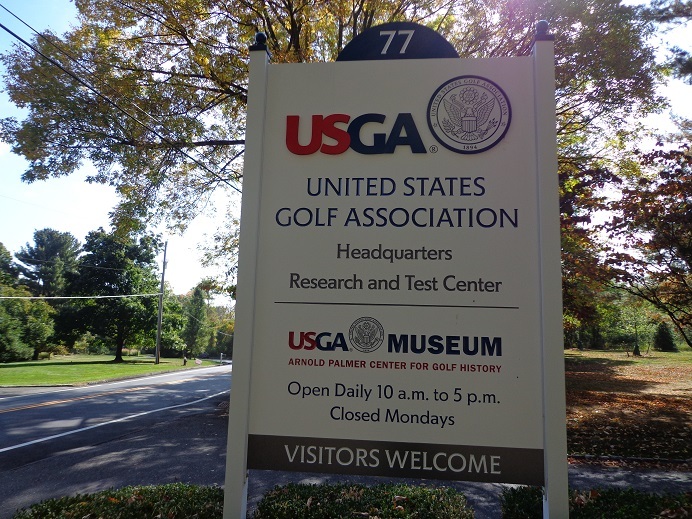 The Gog Blog will return in the days ahead with a look at the USGA Museum, to see some of the great history of golf, stay clicked in with us. THE GOG BLOG SPEAKS OUT-OUTSIDE GOLF ? It was amazing how many courses opened back up, or had never closed in the first place in spite of the early drop in temperatures this fall. I guess it shows what you can do with no snow and some creativity. As a result, some golfers got out and did take advantage of the conditions. Inside at the domes. 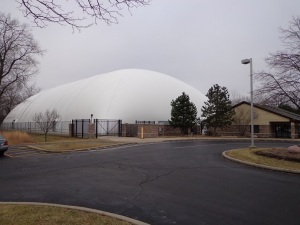 The Buffalo Grove Golf and Sports Dome had a nice “Holiday hit Around” on Saturday afternoon. It was well attended. It was nice to see Wilson Golf among the club equipment companies out there. Several teachers were there helping out with free or discounted instruction. Can’t beat that. 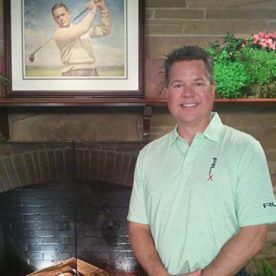 Golf Digest Top 50 Instructor Todd Sones, who makes his home base at the White Deer Run Golf Course in Vernon Hills, is doing a series of Free Clinics at the BG Golf & Sports Dome over the winter. The third one is this Wednesday at 6:30 PM, and it’s called “Why Does the Ball Go Where it Does,” it will help golfers learn about their ball flight and what they can learn about their swing from it. Last night I had a chance to watch the first run of the winter “Golf Scene” with Steve Kashul. The program will be rerun three more times this month, and a few more in January. The show provides a nice look at several of the area golf domes, and a nice interview with Wilson Golf General Manager Tim Clarke. The show stops in at the Gregg Tengerstrom Golf Academy at Silver Lake Country Club in Orland Park. Gregg and partner Joe Copeland are your hosts for the Tinley Park Golf Expo from Feb 6-8 in 2015. I want to wish the best to a good guy and a great pro as he moves on from Illinois to Colorado. Visanu Tongwarin has decided to leave Mistwood Golf Club and head out west. “V” as he was known, served as tournament director for the Phil Kosin Illinois Women’s Open for several years. He will be missed. Congrats to former Illinois PGA Section Champion Frank Hohenadel, on his promotion and move from Midlothian CC, up to Westmoreland CC. I’m sure Frank will enjoy working for Hans Larson. 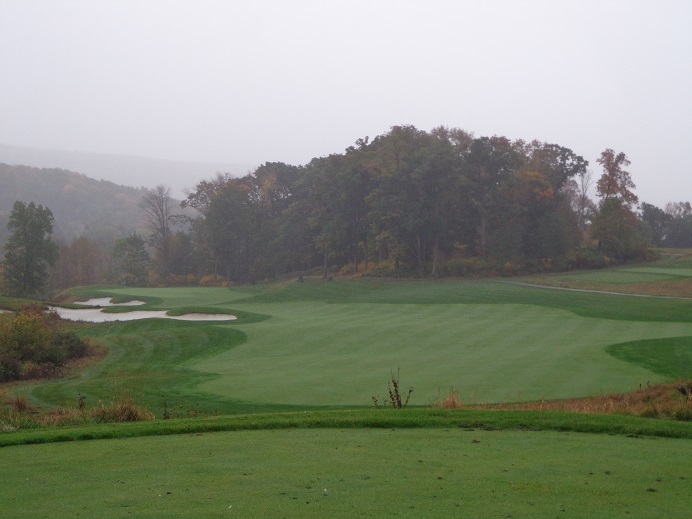 From behind the second green at Ballyowen Golf Course, at the Crystal Springs Golf Resort in New Jersey. If you have not seen it yet, please check out our feature from yesterday on the Northern New Jersey resort of Crystal Springs. The full service resort doesn’t get much of a mention around the area here and it should, especially for those headed in the direction of New York City. As you can tell from my photo (left), there are some scenic views you would not expect to find in New Jersey. Yes, those are mountains in the background. The resort has 7, yes 7 golf courses including Ballyowen that is rated the top public course in the state, along with the famed Atlantic City Country Club that is now public. Many of the top golf resorts don’t have seven courses. The don’t have four hotels, and 15 restaurants scattered through out the property. It’s just a quick one hour drive into New York City from the resort, for those of you headed that way. There is skiing and winter activities too, no word yet about a golf dome. BIG 3 Partner Len Ziehm, has the Ziehm Machine rolling through Florida, he headed over to Orlando yesterday to see the end of the Father-Son event with PGA Tour players and their kids. Visit lenziehmongolf.com for the full wrap up. With the Father and Son and the Shark Shoot-Out in the books. The Golf Silly Season is over, yes I still call it that. I’m not a big fan of the wrap-around season. Let the players go home and have some down time, so they play a few more events during the heart of the season. JOHNNY MILLER made some recent remarks during an interview on a variety of topics, but I found one of his comments interesting. In regards to Tiger Woods chase of breaking the Jack Nicklaus record of 18 majors Miller said, “don’t count (Woods) out”. A couple of times in the last few years I have heard Miller say, Woods will never break Jack’s record. One of those times at Harbor Shores, in front of a crowd of some 5,000 golf fans who gave Miller a standing ovation for his comment. All of which brought a smile to the Golden Bear’s face as a he stood there listening. I HEAR that Jill Carlson and Chris Delira, who work on the CDGA TV program that airs on Comcast Sportsnet, have put together a TV piece on their local golf club the Mt. Prospect golf course. Which has been under an architect Dave Esler renovation. Not sure where it is going to be shown quite yet, but when I find out I’ll keep you posted. I’M SENDING thoughts of birdies and no bogeys to a few of our local players who are at Q-school for the Web.com tour. Brad Hopfinger, is the low-local in 51st place right now, at 4 under par after 4 rounds. LINKS & TEE’S ON LAKE ST. IN ADDISON IS A YEAR ROUND GOLF FACILITY, OUTDOOR GOLF & RANGE IN SUMMER, NOW WITH FOOTGOLF. IN THE WINTER THE LINKS & TEE’S GOLF DOME IS GREAT FOR KEEPING YOUR GAME SHARP. DOUBLE DECKER HITTING BAYS AND SEPARATE PUTTING AND CHIPPING GREENS. CALL (630)-233-7275 OR VISIT ADDISONPARKS.ORG. New Jersey is a state where there are more good looks on the golf scene, than some of of us people out in the Midwest might think. While Atlantic City has it’s hotels, gaming, restaurants and more. The area has 18 great golf courses as well. 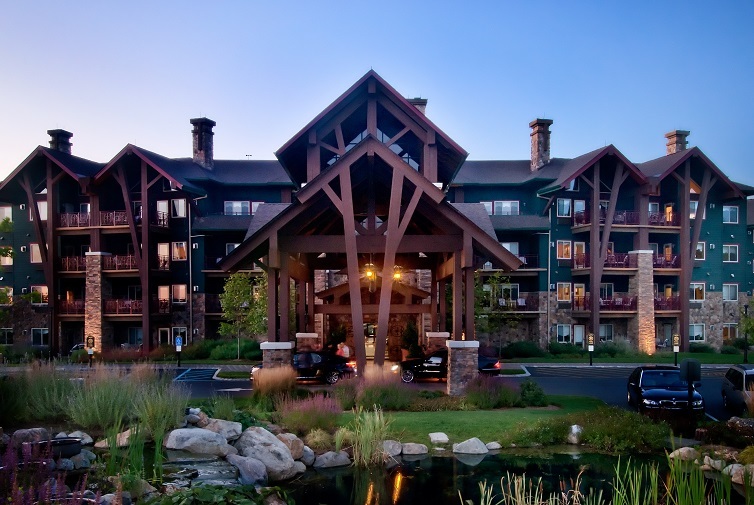 But when one gets north in New Jersey closer to New York City, it’s hard to believe one of the biggest resorts you will find anywhere sits proudly in two towns. That’s right, Crystal Springs Resort might be one of the biggest resorts those away from the east coast might not be familiar with. It’s so big one town can’t hold it. The Golf is great, but so are the pools. Where is Crystal Springs Resort, well it’s in Vernon and Hamburg New Jersey.Crystal Springs is the only four-season resort of it’s kind in the Tri-State Area. You need a hotel, no problem the resort has four ( told you it was a big resort). 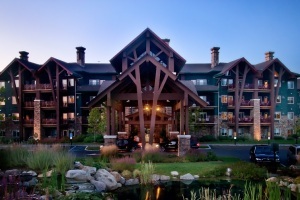 The Grand Cascades Lodge, Minerals, the Appalachian and Black Creek Sanctuary. There is seven, yes seven golf courses and 15 restaurants, including the the four-star Restaurant Latour complete with it’s award winning 135,000-bottle wine cellar. Off the course there are not one but spas, ranked on Spa’s of America Top 100 spa list. Sounds so good you want to go right now. Well you can, golfers turn the clubs upside down and use them as your ski poles. Ski specials are running already for the winter, and the popular New Years Eve packages are selling out quickly, so don’t wait if that interests you. For the golfer planning ahead, it’s never to early to get you golf package set up at Crystal Springs Resort. You book for rounds with the clubs or with the feet. Crystal Springs hosted the first U.S. Pro-Am foot tour event, even before it hit the west coast where Foot Golf has become so popular. The Sept. 14-16 event brought in hundreds of players including some of the best in the world. The sport that came to the U.S. in 2011 and is growing quickly is now a part of Crystal Springs. If foot golf is your passion, your have found another home to play. 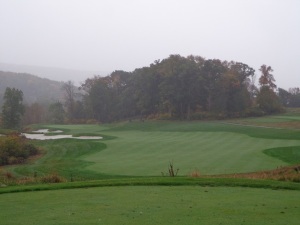 Ballyowen Golf Course, New Jersey’s Top Public course. 1st hole. For those who enjoy golf as it’s been played for years, Crystal Springs has plenty of choices for you. 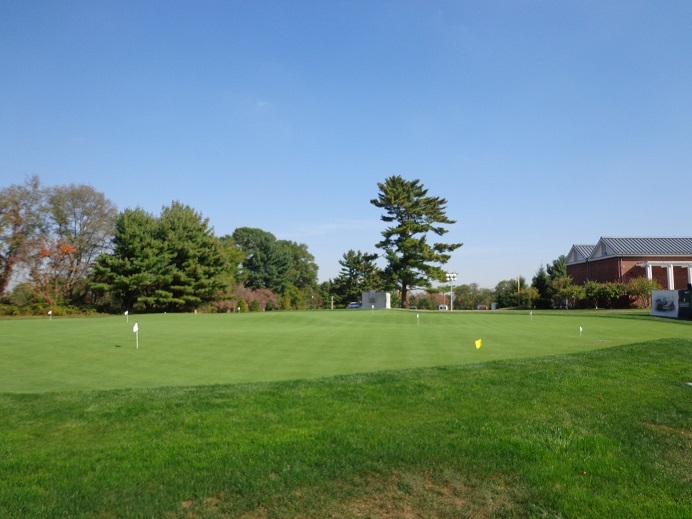 Seven golf courses including Ballyowen, that is rated by the major golf publications as either the No.1 or No.2 public course in the state of New Jersey. 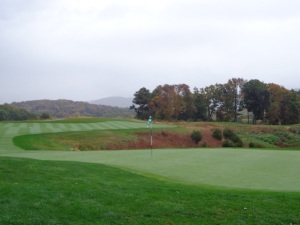 The course designed by Roger Rulewich opened for play in 1998. The links style golf course will give the golfer plenty of challenges. Elevation changes, bunkers, mounds, and some strategic risk-reward carries. Some greens have multi-tiers, so placing your approach shot can be a key factor. The Par 4 18th hole at Ballyowen, with clubhouse and banquet building in the rear. 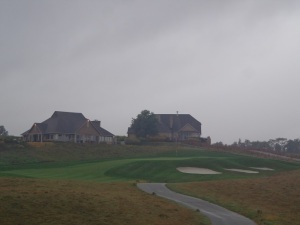 The courses at Crystal Springs have a wide range of challenges, and while of them are fun to play. Some of are set up for the junior or senior golfer, or others who might be new to the sport. So regardless of your skill level, don’t be afraid to try one of the seven courses at Crystal Springs. You can play 9 or 18 holes, besides Ballyowen you can play courses like Wild Turkey or the Cascades Course. Most of the courses are located right next to the hotels. You can always take a shuttle to any of the courses. For golfers headed into New York City or out to Long Island, it’s an easy drive from the resort. So when the east coast or New York city is calling your name, don’t forget one of the biggest golf properties in America is not far away. Call (855)-533-7621 for more information, online go to Crystalgolfresort.com. Crystal Golf Resort, plenty of choices, plenty of fun. THE HOLIDAY HIT AROUND TODAY AT THE BUFFALO GROVE GOLF & SPORTS DOME. 801 MCHENRY ROAD IN BG. CALL (847)-459-2321. FOOD, RAFFLE, EDUCATION AND MORE. FROM 11 AM TO 2 PM. DOME OPENS AT 7 AM AND WILL BE OPEN TO 10 PM TODAY. 30 MINUTE RATES $12. Bgparks.org. Use the bunkers to work on your sand game. Holiday Hit Around Today. Golfers you can take your game outside today. With temperatures in the Low 50’s today or at least predicted for today, several courses have notified us that they are open this weekend for outdoor play. Those courses include. Cog Hill courses #1 and #3 are open not only today but all year round. Settlers Hill in Geneva, and Tanna Farms in Batvaia are open this weekend. In Zion, the 9-Hole course Shiloh is open, with carts if needed. If your want to play some outdoor golf, go hit it. INSIDE THE DOMES ARE OPEN…The Gog Blog Visits the Buffalo Grove Golf Dome today for the Holiday Hit Around between 11-2 PM, see you there. And a SAAAAVE by Buffalo Grove !!! At least for now the Buffalo Grove Golf Course has been saved, according to reports on SaveBuffaloGrove.com. The Malk development group has withdrawn it’s proposal to re-develop the Buffalo Grove area around the golf course, and would have lead to the end of the 18 hole Buffalo Grove Golf Course. What direction the city board will go after the April of 2016 elections remains to be seen. But at least for now, the golf course will be open for all of 2015 and most likely 2016 and beyond unless the board changes direction and tries to revisit the issue. If Buffalo Grove wishes to develop, it should renovate the golf courses, both are long overdue. 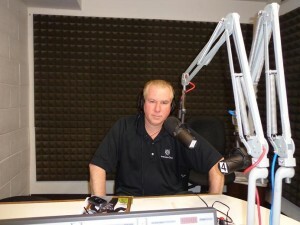 The Golf Scene with host Steve Kashul will start airing it’s winder edition tomorrow night Sunday at 5:30* PM. The show will be broadcast on Comcast Sportsnet. *But note the new time, it was supposed to air at 6 PM, but has been moved up to accommodate the Blackhawks pregame show. kashul will tour around the golf domes around town and visit with Wilson Golf President Tim Clarke. The show will also preview the first indoor golf show in the Chicago area for 2015, the Tinley Park Golf Expo in early February at the Tinley Park Convention Center. The show will run several times in December and January so watch CSN for dates and times. Are you ready for a winter getaway. Destination Kohler is not that far in your car, just over 2 hours from downtown Chicago, and less from the Northern Suburbs. Watch on line at Destinationkohler.com and check out the deals that include rooms starting at only $99 for the Inn on Woodlake, taxes not included. Call (888)-293-7397 today. CONGRATS TO THE PGA TOURS Honda Classic home of the Bear Trap and the Bear Course designed by Jack Nicklaus. The Honda Classic was named the most fan friendly event on tour. Jack Nicklaus will soon receive the Congressional Gold Medal, earned due to his sportsmanship and work in several area’s. Congrats To Jack Nicklaus who will be honored with his own building at the USGA headquarters in Far Hills NJ, to open in May or June of 2015. Golfers put it right on your desk, or on the headboard of your bed at home. Maybe it should be on the desk at work, wherever you put it now is the time to get Bill Kroen’s 2015 Golf Tip of the day Calendar. So far over 1,000,000 million copies have been sold. Just $14.99 in the USA, published by Andrews-McNeel. Golf Tip of the day, check it out everyday, how good do you want to be. Now you can improve your game by just reading the calendar. LINKS & TEE’S GOLF-YEAR ROUND FACILITY. 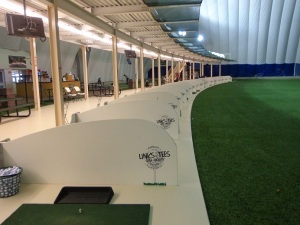 Golf Course and outdoor range in the summer, indoor dome in the winter. This award winning facility three years in the running can help you have your game ready for the summer season. 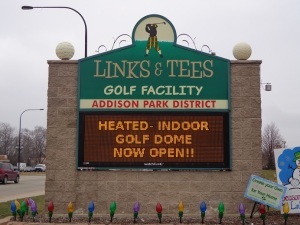 Come practice at Links & Tee’s on Lake Avenue in Addison, addisonparks.org phone (630)-233-7275. THE RUMORS of the demise of Atlantic City appears to be greatly exaggerated. Those who know the city are saying that the move away from everything in on casinos, is bringing a brighter light to all the other activities, which include outstanding golf that you can play. The Borgata in Atlantic City. Hotel casino’s like the Borgata are still in business and offer gambling, hit the tables if you wish in between the spa and fine dining in the hotel, that includes Wolfgang Puck. In fact restaurant business in the Atlantic City area has been up for three years running. Eight new restaurants have opened in 2014 alone. Golfers coming in off the golf course, now more than ever have better selection of 19th holes to visit and wine and dine. For Italian food there is no place like Carmines, guaranteed to fill up any hungry golfer. The casino’s that have closed are expected to be bought up by other developers, and reopened quicker than than a Titleist Pro V1 flies off the face of your driver. In the meantime there is more time for golfers to spend on the golf course. Atlantic City Country Club, has one of the great eastern seaboard historic clubhouses. There are some 18 golf courses within 20 minutes of the downtown Atlantic City area. The headliner is none other than the Atlantic City Country Club, private for many years, it’s now open to the public and a golf course you can play. This William S. Flynn classic has holes along the water, Tom Doak came along around the year 2000 for a restoration. Any golfer that visits Atlantic City would be wise to enjoy the comforts and service in country club style, see accountryclub.com. 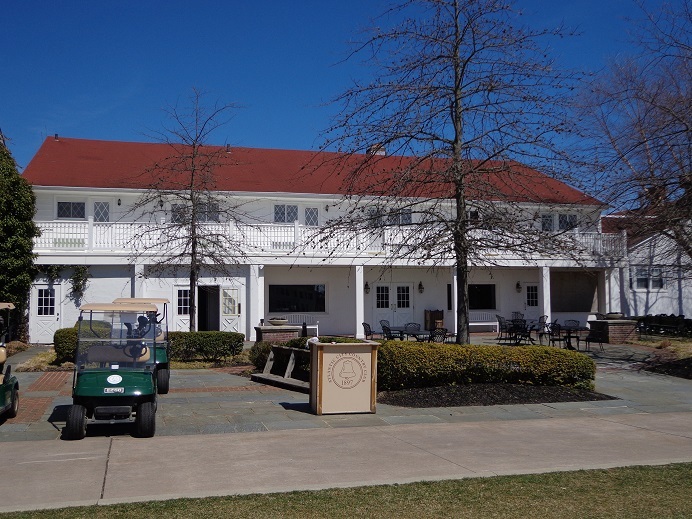 AC Country Club is the birthplace of the term “Birdie”, come play where golf history was made. If there is bad news in Atlantic City, it’s the Miss America Pageant doesn’t seem to be returning anytime soon. But there will still be plenty of bikini’s on the beach that blends around the famed boardwalk. From the boardwalk to Ballamoor Golf Club you must go, and continue to enjoy your time on the golf course. Ballamor Golf Club, your on the 6th. A risk-reward special. But only two golf courses Atlantic City is not, need more. Okay Atlantic city has much more. Brigantine Golf Links, the Stockton Seaview Hotel and Golf Club, Blue Heron Pines Golf Club, Harbor Pines Golf Club, Mays Landing Golf Club, Shore Gate Golf Club, Sea Oaks Country Club, Vineyard Golf at Renault Winery, Twisted Dune Golf Club, Greate Bay Country Club. The Ballamoor golf course is a traditional parkland-style golf course, built into the woods with no houses surrounding the golf course. The theme will remind some golfers of the type of golf they find in the Pinehurst area of North Carolina. When you look ahead to play your next golf getaway, don’t forget Atlantic City New Jersey. It’s more than casino’s, great golf, great food and more. To see the quality of great courses in the area, visit PlayACGolf.com, for more on Atlantic City you can see doatlanticcity.com. United has one flight daily non-stop to Atlantic City from O’hare airport. The Gog Blog looks at northern New Jersey later this week, stay clicked in. Don’t forget the Holiday Hit Around at the Buffalo Grove Golf and Sports Dome on Saturday from 11-2 Pm. bgparks.org.